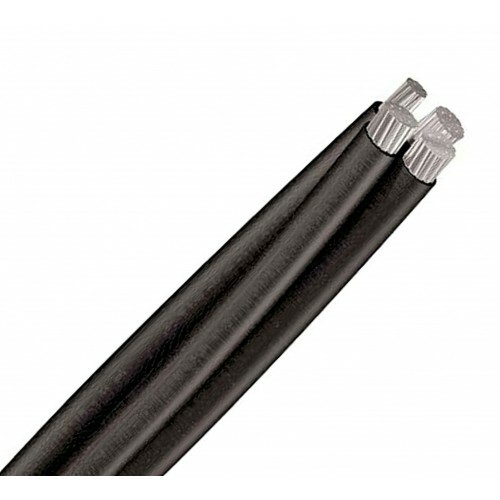 This cable application and main characteristic is the same as Aeroprex RZ RZ Cu where this cable is also suitable as an outdoor installation for low voltage power distribution in overhead lines tightened between supports and lines attached to façades. This cable is not suitable for buried installation due to its construction without having armour to withstand such mechanical crush and impact. The maximum conductor temperature is 90oC. The difference is that the aluminium is used as conductor instead of copper and with self-supporting neutral core. Semi-rigid aluminium conductor class 2 (to IEC 60228), Cross-linked polyethylene (XLPE) insulation, Black colour.